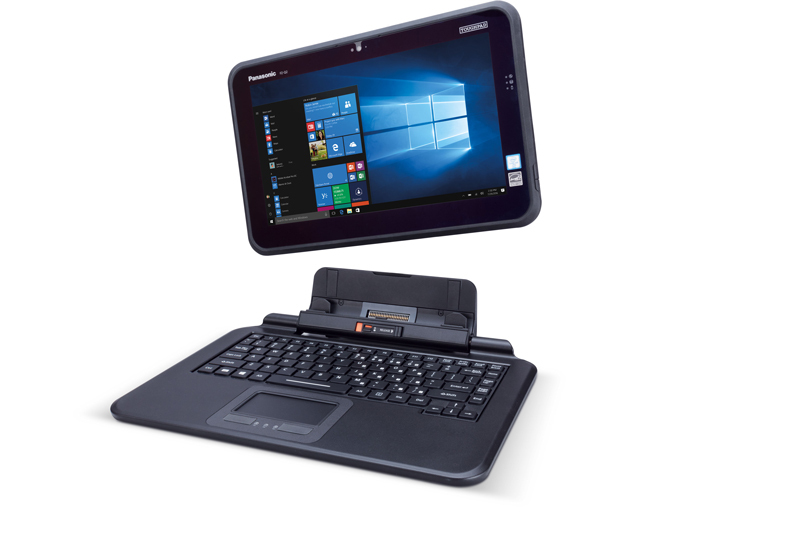 The Panasonic Toughpad FZ-Q2 is aimed at users who require a business-ready tablet that is also able to handle light outdoor duties. The tablet PC will retail for $2999. Panasonic says the Toughpad FZ-Q2 draws on the company’s 20 year history in developing rugged technology and includes all the core capabilities expected of such a device, including a wide range of business ports, a 9-hour battery for a full day’s work in the field and a magnesium alloy casing that provides robust protection against drops. "Adding the Toughpad FZ-Q2 to our line-up allows organisations to maximise their investment in rugged technology," Panasonic Australia general manager mobile solutions Marc Amelung says. "Our Toughbook and Toughpad lineup can meet requirements across a fleet requiring different levels of ruggedness, from technicians on the road to team leaders working both in the office and the field. "We’ve already introduced 2-in-1 models in our fully-rugged notebook and tablet lineup, and this convenient design is now available in a semi-rugged form," Amelung adds. The FZ-Q2 meets the needs of users such as production line managers, fitters and mechanics working in manufacturing, field service engineers, telecommunications technicians and even retail staff. The 2-in-1 tablet has a 12.5-inch full HD touchscreen display, which works as a standalone tablet or can be attached to a keyboard to turn the device into a laptop. As mentioned, the Toughpad has a range of ports useful to business including USB 3.0, HDMI, LAN and True Serial. Other tech features on the FZ-Q2 include an Intel 6th-generation CPU with Intel HD Graphics 515, Windows 10 Pro, a 128GB solid state drive (with an option for 256GB), 4GB of RAM (with an option for 8GB) and 4G LTE MultiCarrier mobile broadband.